Women Matter – Who knew? Today Guest blogger Jennifer Kenny provocatively challenges assumptions about a national women’s initiative. She asks great questions. Do you agree with her answers? Since 2007 one of the world’s leading business strategy consulting firms had led an initiative called ‘Women Matter’. This initiative is focused on conducting research about gender diversity in top management and corporate performance. While I am absolutely certain that this initiative has the very best intentions, ‘Women Matter’ is a very sad as a way of looking at this issue. How would men feel if the world’s leading business strategy consulting firm had a research initiative called ‘Men Matter’! The whole concept is utterly ridiculous and completely the wrong common sense for a starting point. This initiative is actually led by women! These women appear very sincere and authentic – but they seem to have no ability to see how trapped they are in the pervasive common sense, the unspoken, unobserved frame of all reference from which we operate, interpret the world, learn, and engage with each other and with our customers. This common sense is what I call the ‘Me Too’ common sense. It is women appearing to want to be the same as men. I for one do not want to be the same as any man I know – much as I love you all. Nor do I want to do or work or produce the same as men. I don’t want the world to be just faster, bigger, richer because I join men and be the same as men. For men the ‘Me Too’ shows up as women wanting to be the same as them, join the same clubs, have the same things, compete for the same jobs and resources, and be the same. We need to educate both men and women to recognize that the world will be better – a lot better – for all of us when we are able to listen to each other; when men matter as much as women do and when women matter as much as men do. When we are both able to really appreciate what the other brings then the world will be more fun, more balanced, happier for all of us. That is the promise of equality – not similarity – because we are not the same. Women don’t want what man have, what men have accomplished without us. They don’t want the C suite – it is simply not worth it- it is too disconnected from what women really value. Women don’t value hierarchy; winner takes all, besting others, bigger, faster, ‘better’. Women value, relationship, fairness, equality, sharing, happiness. And now let me take that beyond ‘women’ to say that people value wisdom beyond all – and they don’t care where that wisdom comes from. They value wisdom that will make life more than just about survival, competition, war and work, wisdom that will make life about fun, creativity, possibility, joy, appreciation, sharing, peace – this wisdom can come from both men and women. I think that it is time to turn all this – ‘Me Too’ – gender diversity on its head – and talk about leveraging women and men in the world, at work and at play, for the good of humanity. 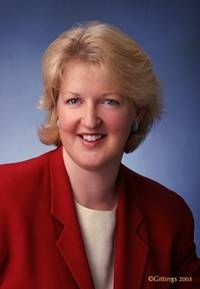 Jennifer Kenny is Interim CIO of SRI International. Jennifer has an extensive background in management consulting, change initiation and the design of business processes and systems strategies for Fortune 500 companies, including starting her own consulting firm BizThink in 2007. What are you questioning in your own life? Are you willing to take the risk?